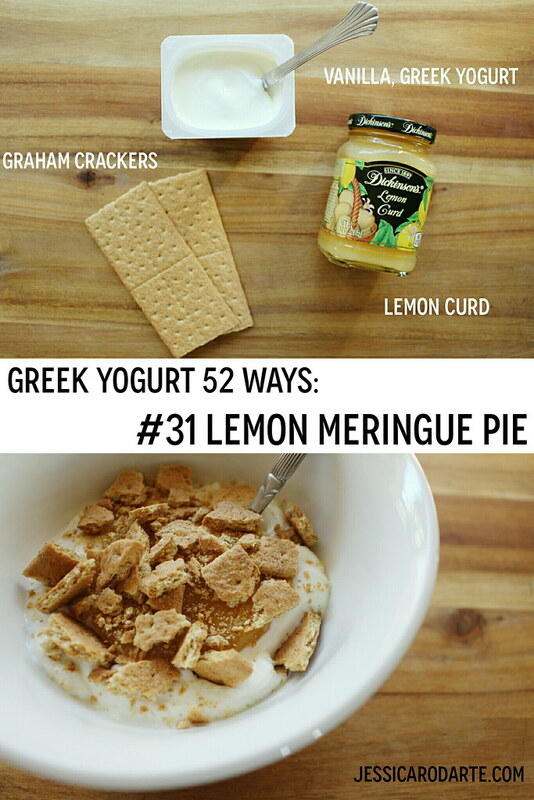 Last week I shared one of the recipes Emma Chapman shared in her post Greek Yogurt: 4 Ways. You may remember that her post inspired my project- see here. Last week I shared #30 Banana Nut Yogurt. This week I'm sharing lemon meringue pie, which I slightly modified from Emma's lemon meringue recipe. The only difference in our recipes is that Emma used granola instead of graham crackers. I've had this recipe with granola and it's yummy- especially for breakfast. I decided to go with graham crackers instead because I wanted to mimic the crust on a lemon meringue pie. (I have happy memories of being a newlywed, going to visit my mother-in-law and father-in-law and having lemon meringue pie together after dinner). I was going more for dessert than breakfast with the graham crackers. 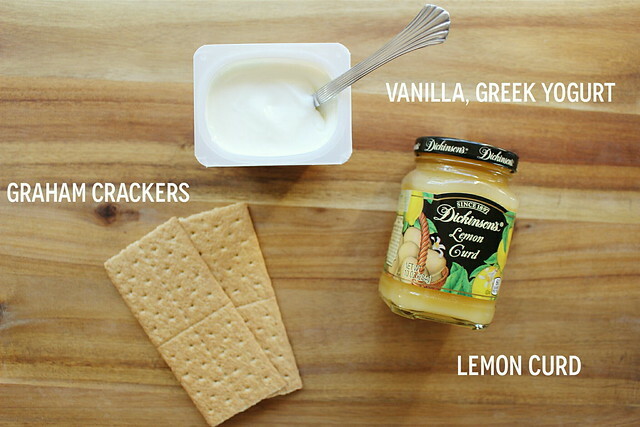 To make this dessert, top 4 to 6 oz of vanilla, Greek yogurt with 1 or 2 tablespoons of lemon curd and 1 crushed graham cracker. I know it doesn't look super pretty, but I promise it's SUPER good. I mix everything altogether and get a bite of everything all at once. It's delightful! 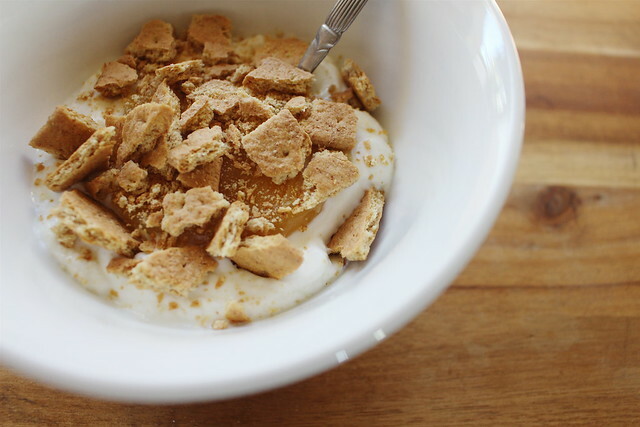 Related: I'm a fan of topping my Greek yogurt with graham crackers. #1 Strawberry Shortcake is made using graham crackers. It's one of my favorites!